Lovely Easter chicks design in a best quality soft fabric is a delight to behold. 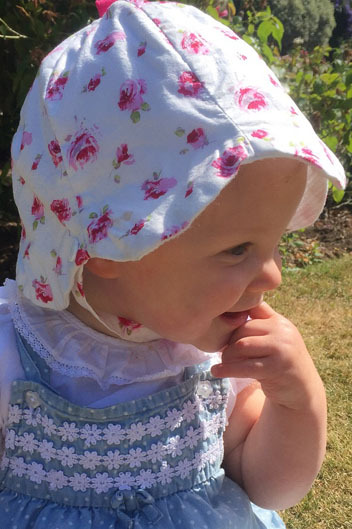 It brings many lovely spring thoughts. Baby bib Easter chicks is designed to look like a fashionable accessory. 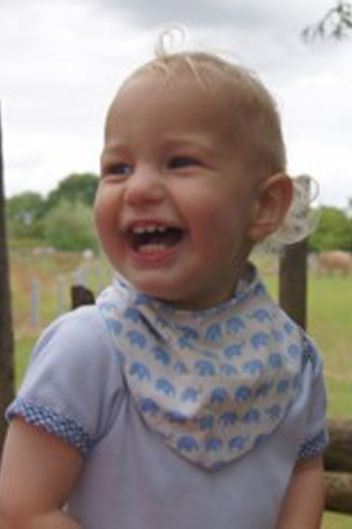 It is smart enough to be worn all day, coordinating with baby’s outfit, making it ideal for teething babies and little dribblers. 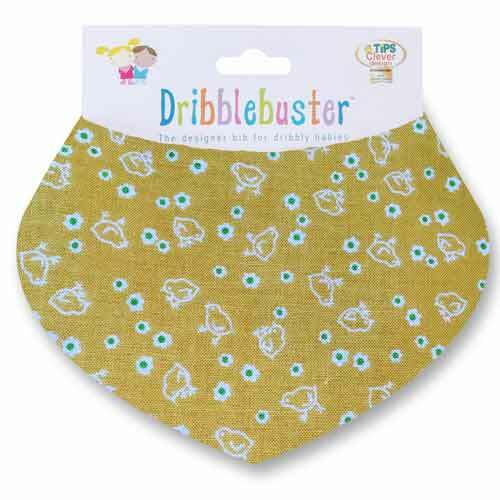 The dribble bib with its fleecy backing is highly absorbent and we have been told by our customers that our dribblebuster bibs are the most absorbent on the market! 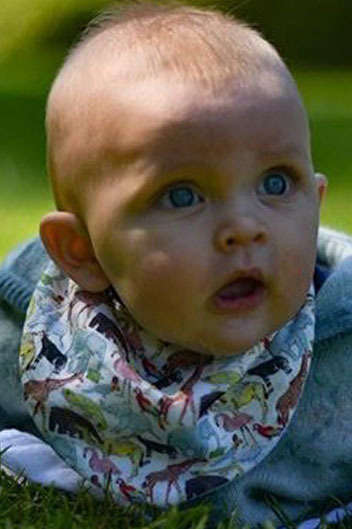 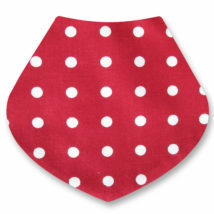 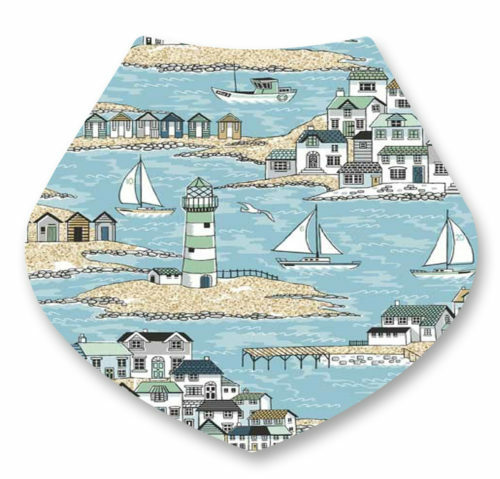 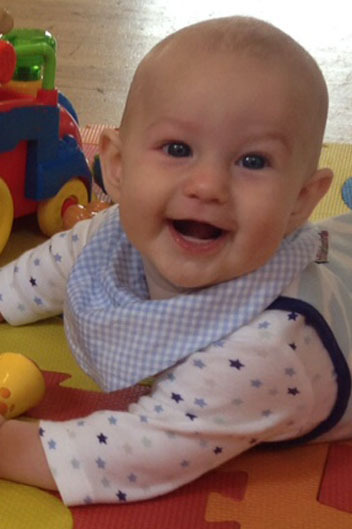 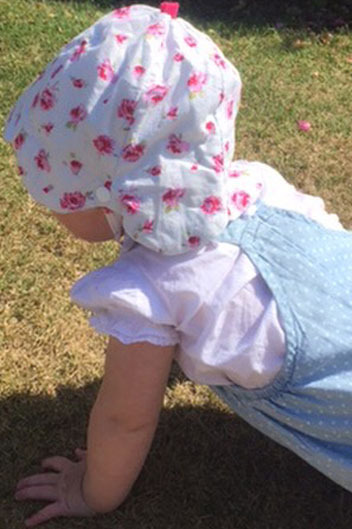 Our gorgeous dribble bibs are made from top quality 100% soft woven cotton fabrics for your baby’s gentle skin. We use soft 100% absorbent woven cotton for the backing fabric too. 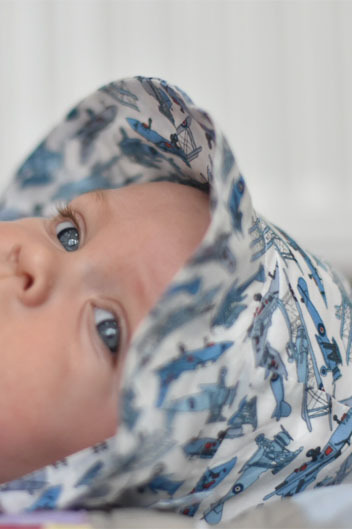 There are no complicated fastenings or metal parts, as the bibs fasten with adjustable plastic poppers, making them perfectly safe. 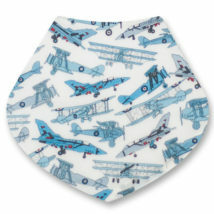 All our bibs are handmade in our workshop. These bibs wash and wear well, and keep their shape, and so it is something that is easily passed on from one baby to the next. 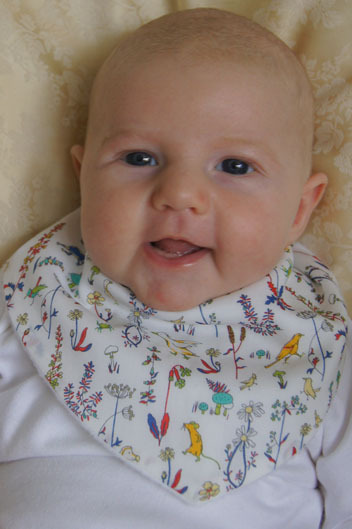 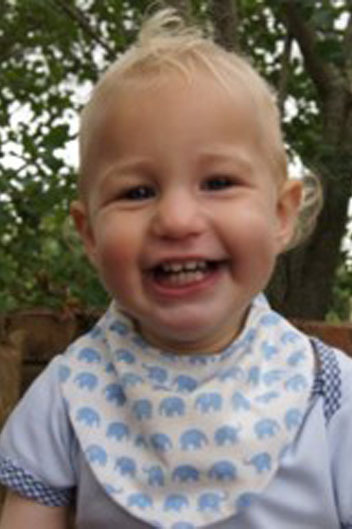 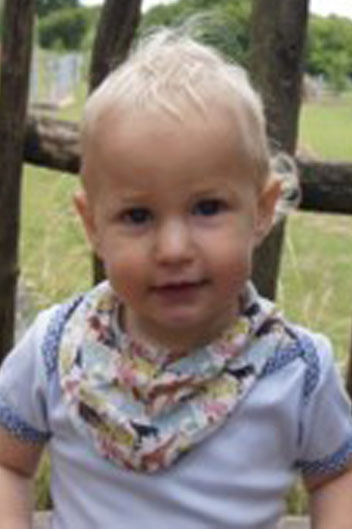 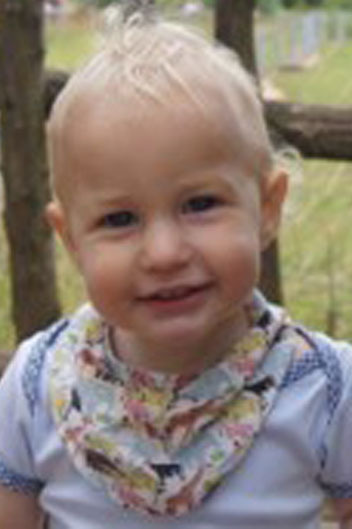 The bib size around neck is 32 – 34 cms, and the depth at deepest point – 14cms, so they give a good coverage. They are made from a double layer of 100% cotton. This elephant dribble bib is one of our most popular design loved by our customers. 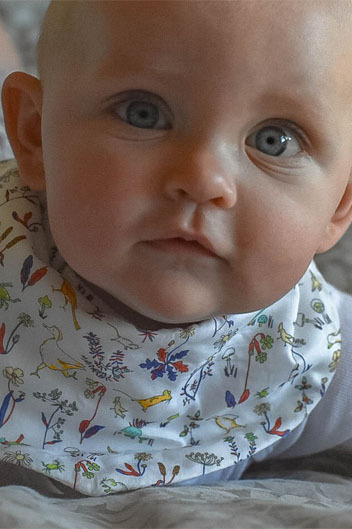 The adjustable poppers on the dribble bib make it easy to fit all babies. 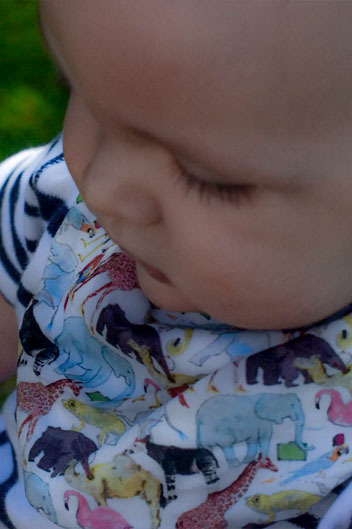 Award winning and loved by parents. 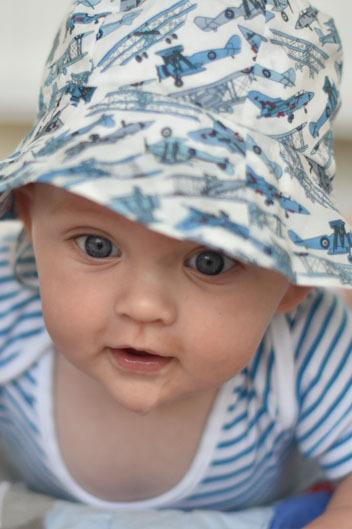 Read testimonials here!